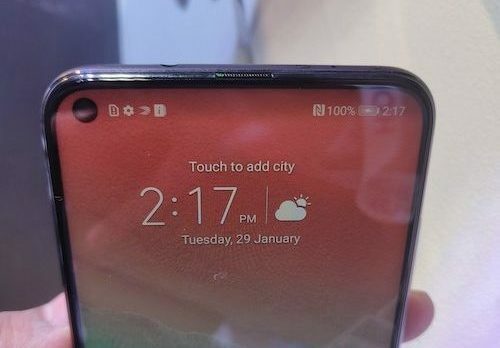 Just when notches began becoming THE thing, we saw the start of a new display trend altogether. 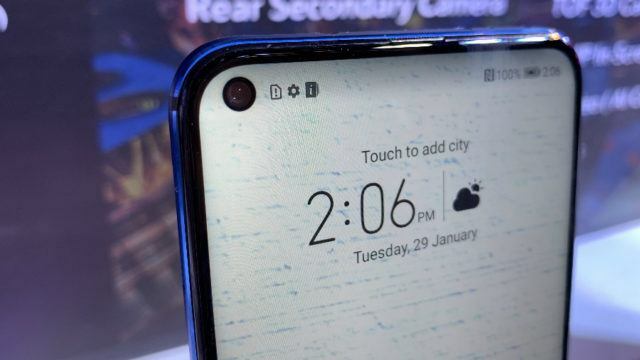 That’s when Honor grasped the concept and incorporated it into its new smartphone, the Honor View 20, saying hello to the new in-hole display. Now the smartphone has reached the Indian shores, becoming the first-ever smartphone with a punch-hole camera in the country. 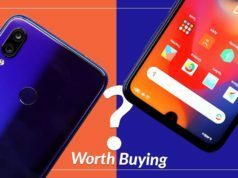 The Honor View 20 has all the traits of a premium smartphone, and the hints of premium were quite visible. The enticing color options (Sapphire Blue, Midnight Black, and Phantom Blue) and the use of the nanotexture for the V-shape effect on the back just got me. 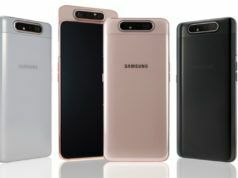 The smartphone has two cameras at the back, one with LED flash and the other one placed separately, at the top left corner. The right edge has ‘AI Vision’ written on it. Beneath the cameras (in the middle) lies the fingerprint scanner, which is followed by the Honor branding. Upfront, there is just the punch-hole selfie camera at the extreme top left corner, with really thin bezels surrounding the display. To the right of the device, there is the volume rocker and the power on/off buttons, while the left side has the SIM tray. The bottom part has the USB Type-C port with speaker grille, and the top portion has a 3.5mm audio jack. In totality, the Honor View 20 was able to acquire good marks in the design department, and I am all bonkers about it. The View 20 is all about its screen; one of the USP is the 6.4-inch Full HD+ All-View display with the punch-hole camera, for further reduction of bezels. While the bezels are not lost entirely, they are thinner. The screen has an adequate amount of brightness, and the viewing angles appeared good too. With various display features such as the adaptive brightness and more, there is the ability the turn off the notch for the notch-less display experience. 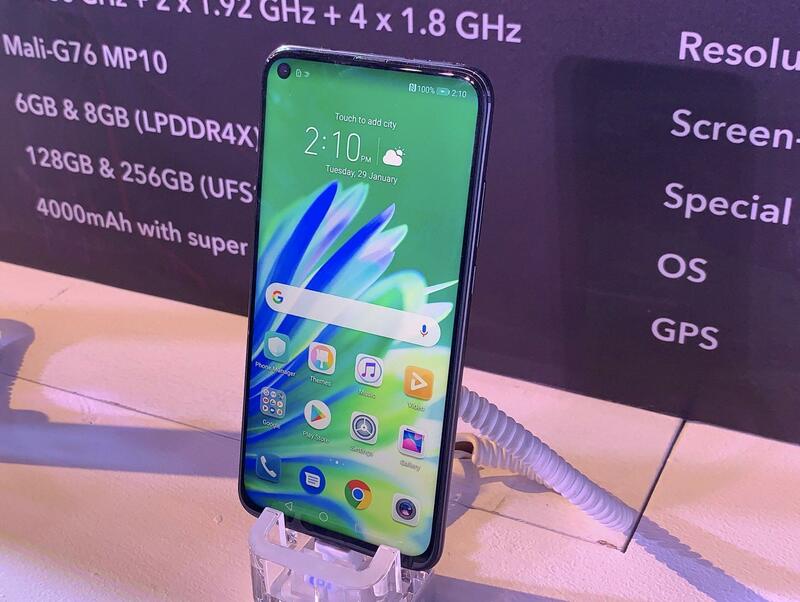 The second highlight is the 48-megapixel rear snapper with Sony IMX586 sensor which supports CMOS, Portrait mode, improved AI capabilities, and AI Ultra Clarity mode. The secondary rear snapper is the 3D one which is based on Time-of-flight (TOF) for 3D capturing of objects and AR capabilities. While I couldn’t test all the features due to the time constraint, the rear snapper was able to capture intricate details with good color production. The Portrait mode too performed well without over-processing the image. The selfie shooter is rated at 25-megapixel and has support for AI-based features. And for the front too, the resultant image was a detailed one. Among the various camera features, there is the Super Night Shot mode for low-light photography, 960fps Slo-mo feature, and AR filters much like Apple’s Animoji. While my first moments with the cameras were quite impressive, I still need to use it for a longer time for a better camera review. The View 20 has more to it than the eyes meet; it comes with the Nine Liquid Cooling System for easy heat dispersion during heavy gaming sessions, AI dual-frequency GPS for accurate locations, Triple-antenna Wi-Fi, and PC mode. 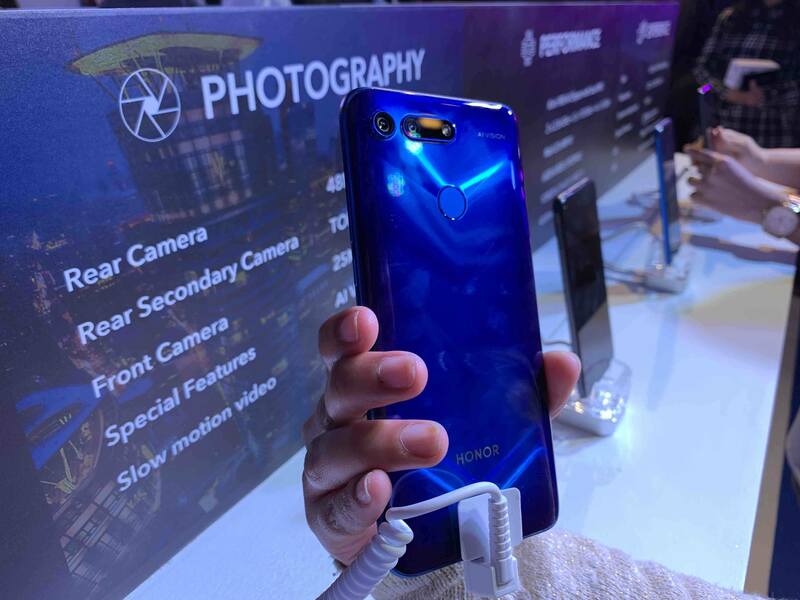 The Honor View 20 derives its ability to perform from its third highlight — the company’s 7nm Kirin 980 processor which comes with tints and tones of AI and GPU Turbo 2.0 tech. It gets its multi-tasking capabilities from two RAM variants: 6GB with 128GB of internal storage and 8GB with 256GB of ROM. For the smartphone to work, it has a battery capacity of 4,000mAh with the support of Supercharger and runs the company’s Magic UI 2.0.1 based on Android 9.0 Pie. Furthermore, the View 20 has the rear-mounted fingerprint scanner and facial recognition. While I was unable to test the face unlock feature, the fingerprint sensor was pretty snappy. 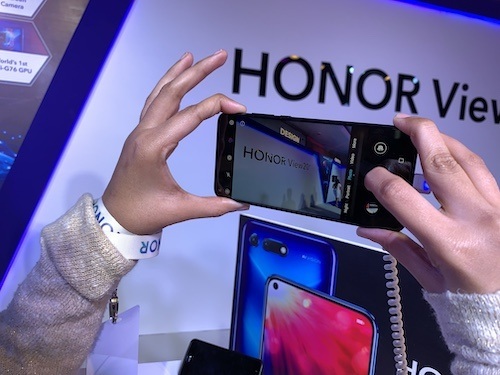 The Honor View 20, starting at INR 37,999 falls in the mid-to-high segment, currently ruled by OnePlus. With a couple of world’s firsts and premium features, the package delivered is raising the bars and setting my hopes high. However, a final verdict is too soon as there is stuff which needs to be checked out. Therefore, stay tuned for a super soon review coming up on Fossbytes!